Golden Agri-Resources' 9M17 core net profit accounts for 48% of our and 57% of Bloomberg consensus' fullyear net profit. We deem this below expectation, mainly due to weaker plantation contribution. 3Q17 EBITDA grew 24% qoq due to higher FFB production (+15% qoq). We cut our FY17-19 EPS forecasts by 14 -31% to reflect lower plantation earnings. Maintain Reduce with a lower target price of S$0.36 (15x FY19F P/E). Golden Agri’s 9M17 core net profit of US$102m was below expectation, at only 48% of our and 57% of Bloomberg consensus’ full-year forecast of US$212m and US$179m, respectively. We expect 4Q17 earnings to be flattish qoq, as the group indicated that 4Q17 FFB output may be unchanged or lower vs. 3Q17. An interim dividend of 0.693 SCts per share was declared for 3Q17, broadly in line with expectations. Golden Agri added back the depreciation charges of bearer plants, totalled US$114m, to derive its reported underlying profit of US$217m for 9M17. This figure is higher than our core net profit of US$102m for 9M17 which strips out depreciation charges, to be consistent with our core net profit calculations for other Singapore planters. Golden Agri posted a 29% improvement in 9M17 EBITDA as better performance by its plantation segment trumped weaker earnings from palm and laurics and oilseeds segments. However, reported net profit fell 71% yoy in 9M17, due to the absence of deferred tax income of US$262m in 9M16. 3Q17 EBITDA grew 24% qoq, due mainly to higher plantation (+30% qoq) and downstream contributions (+7.4% qoq). Plantation EBITDA grew 58% yoy in 9M17, thanks to a higher CPO price and 27% rise in the FFB output of nucleus estates. Its downstream EBITDA fell 10% in 9M17 due to weaker biodiesel and refining margins, while oilseeds and grains profit declined 54% due to weaker crush margins. 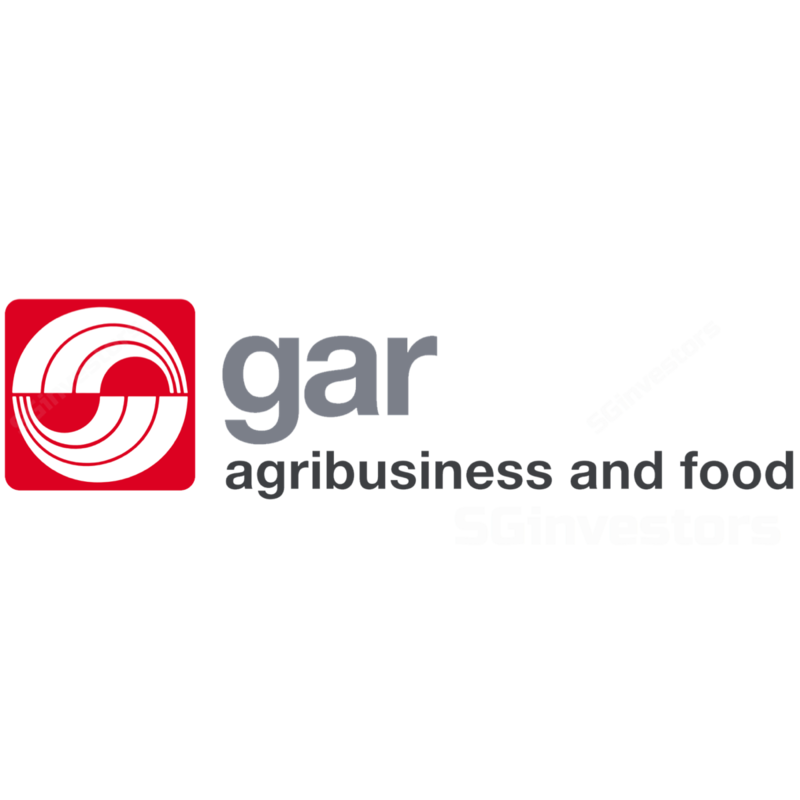 Golden Agri lowered its FY17 FFB output growth guidance to 10-15% from 15-20%. It maintained its FY17 cash costs guidance of US$300 per tonne, which is marginally higher than 9M17’s US$296 per tonne. The group expects FFB output to grow by another 10% in 2018 and CPO prices to trade in the range of US$650-700 per tonne. Golden Agri indicated that its palm oil inventory level stood at 587k tonnes as at end-Sep, higher than the 459k tonnes as at end-Jun. It expects Indonesia to consume around 2.5m-2.8m tonnes of biodiesel in 2017. The group is also at the final stage of reviewing its China oilseed business and may consider disposing part of it. We slash our earnings forecasts by 14-31% for FY17-19F to reflect lower CPO prices and FFB output assumptions. This, coupled with the rollover of our target price to end- 2018F, led to a lower target price of S$0.36 (based on 15x 5-year historical P/E). We keep our Reduce call due to concerns over its unexciting output prospects beyond FY17F as 47% of its estates are above 19 years old (average age of its estates is 16 years old). Key upside risks are higher than-expected CPO prices and production.